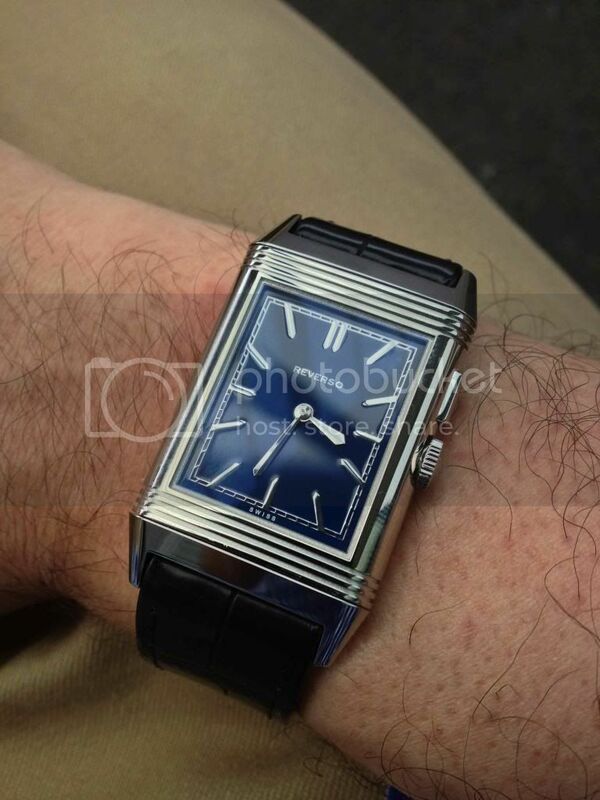 As promised last Sunday I finally managed to travel to Geneva and receive my first watch from Jaeger-LeCoultre. Below are two "quick and dirty" wrist-shots taken with my smartphone. If I manage to create better ones in the next couple of days I will certainly post them here. The nice people at the Geneva boutique haven't seen the "bleu" before and were suitably impressed. They told me mine is the first one delivered worldwide. To be honest I don't really care about being the first and just hope all the others which are waiting will receive their "bleu" very soon. The watch is amazing and I really struggle to explain why but will give it a try. The dial color is incredible and changes from almost black to a very rich and deep blue and then becomes lighter and more flat depending on the light. The two pictures I made don't do this any justice but you might be able to get an idea what I try to put in words here. I know this gets written all the time in this forum but - you really MUST see this watch in person in order to appreciate it. Some of the comments I read suggested it would be even nicer to have a second hand on the front dial. I tend to disagree although I have to admit I'm used to a "dead" dial from my Royal Oak Jumbo. The reason why I prefer it this way is very simple - it would be a shame to hide more of the dial and I love the fact there is only "REVERSO" and "SWISS" written on it. The two straps (Croc & Casa Fagliano) are both matte black, very nice and suit the watch very well. I'm not sure about the color but I recall reading somewhere that they will make them in blue for this version. I'm already considering whether a dark brown shell cordovan would be a nice alternative but this has certainly as I can play with the two other options. The case is not numbered but engraved "Special Edition". 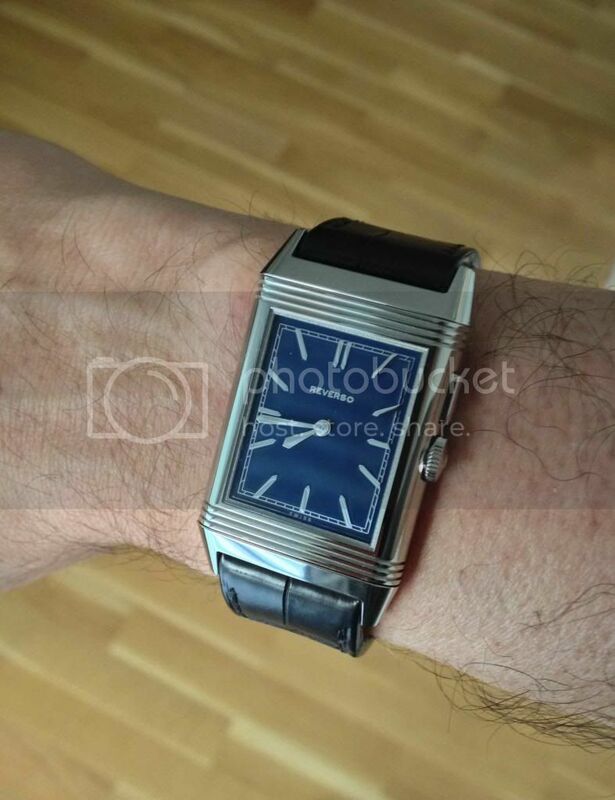 The size feels perfect on my wrist (approximately 6 inches) and I hope they won't start making them any bigger as I'm sure this won't be my last Reverso!